Whether you’re planning to celebrate Mardi Gras or the upcoming Royal English Wedding, there’s no better way to mark the day then to add some cheese to your festivities. Just do it in a new way. 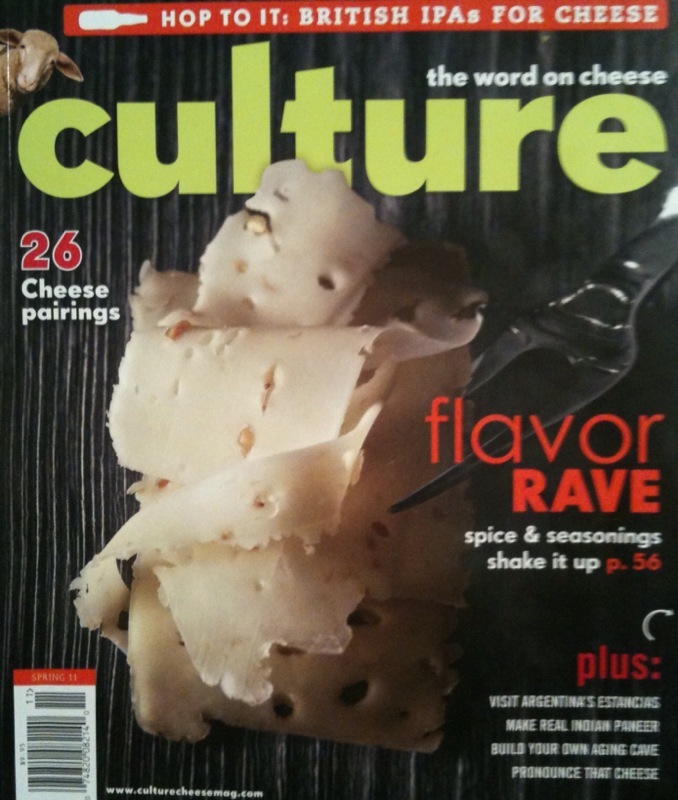 Page 24 - How a flight of fabulous aged goat cheeses is a culinary must this season. Page 46 – Cheese expert and book author Janet Fletcher describes the trend to move Italian fruit mostarda condiment from meats to cheese sampler plates. 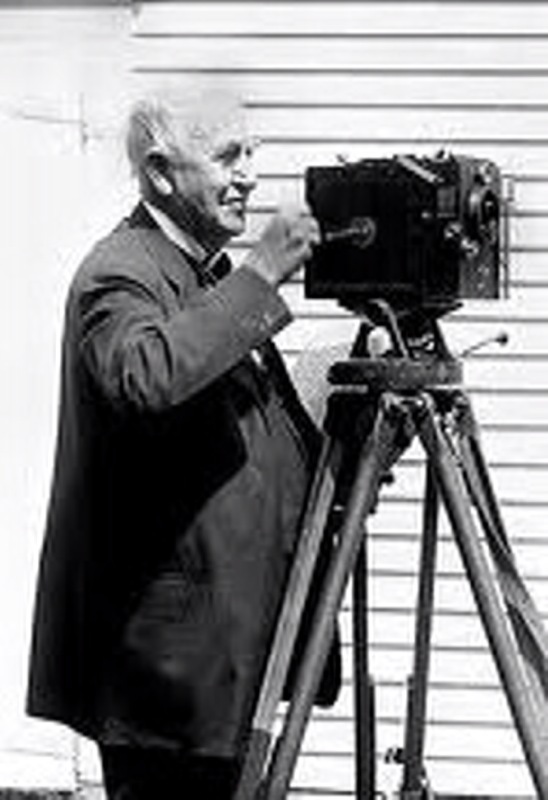 Page 9 – Discover how the inventive genius Thomas Edison helped to create quality French cheese wrapping papers while developing the motion picture camera. Page 26 – With the royal William and Kate wedding coming up, Andy Jenkins explores the history of Britain’s legendary Indian Pale Ale or IPA and which cheeses are the best culinary love match. Page 11 – Need cheese information while you’re on the move? Try the great new cheese app created by Chronicle Books and Janet Fletcher featuring over 75 tasty cheeses and 25 themed cheese plate combinations. Page 38 – If you think that sherry is the only wine to match with cheese, then let Tara Q. Thomas of New York City show you how to select and match fruit wines with cheeses both domestic and international. Page 56 – What chef doesn’t enjoying working with spices and flavorings. Matthew Rubiner invites anyone interested in matters culinary to enter the world of flavor additives such as porter, Irish whiskey, seaweed, candied lemon peel, hops and pistachio nuts to cheese to name just a few. 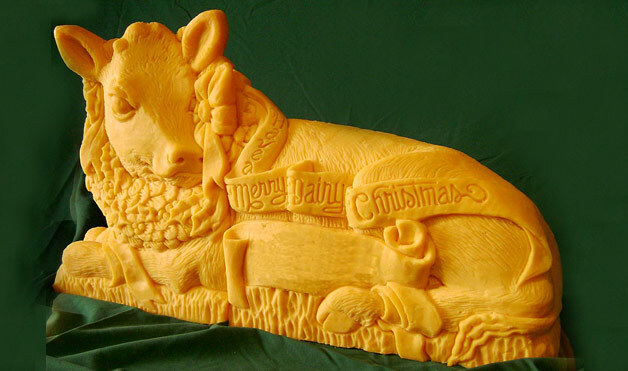 Page 104 - Karen Edwards explains the growing art of cheese carving. It's stunning on a buffet or side board. It doesn't melt and the left over cheese can be saved. Page 101 - Tired of the same-old, same-old when it comes to pale colored service plates for cheese? Well, consider abandoning those traditional off-white china plates and heavy wooden boards and discover with Eilis Maynard the fabulous new colored cheese plates being created now by top tableware designers. Interested? Hope so – Just don’t wait a long time to purchase your copy of Culture Magazine as every issue sells out fast. The magazine is brimming with informative article after informative article, all with beautiful photos (just like all the culinary magazines used to have, but sadly few do today). But why not just subscribe? It’s easier and that way you’re sure to always have a copy of this very valuable and very useful culinary magazine. 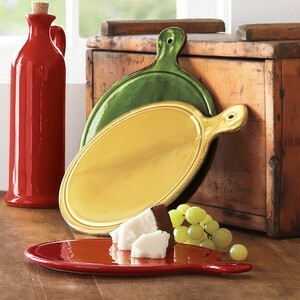 It's a great investment in style and innovation for all things that "say cheese." You're sure to be the next culinary star - Count on it! Posted on March 1, 2011 by Ana Kinkaid and filed under Beer, Cheese, Films, Holidays, Magazines, Movies, Royal Wedding, Wine and tagged Andy Jenkins Chronicle Books Culture Magazine Janet Fletcher Karen Edwards Mardi Gras Matthew Rubiner Sur La Table Tara Q. Thomas.